A coral reef strengthens into land. Similarly to vitamins, minerals are essential to human health and can be obtained in our diet from different types of food. Minerals are abundant in our everyday lives. From the soil in your front yard to the jewelry you wear on your body, we interact with minerals constantly. There are 20 essential minerals that must be consumed in our diets to remain healthy. The amount of each mineral found in our bodies vary greatly and therefore, so does consumption of those minerals. When there is a deficiency in an essential mineral, health problems may arise. 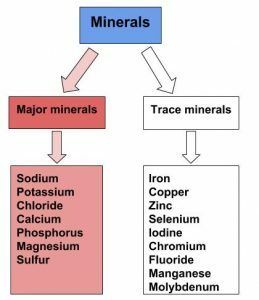 Minerals are not as efficiently absorbed as most vitamins and so the bioavailability of minerals can be very low. 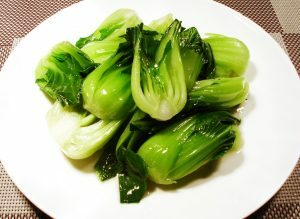 Plant-based foods often contain factors, such as oxalate and phytate, that bind to minerals and inhibit their absorption. In general, minerals are better absorbed from animal-based foods. In most cases, if dietary intake of a particular mineral is increased, absorption will decrease. Some minerals influence the absorption of others. For instance, excess zinc in the diet can impair iron and copper absorption. Conversely, certain vitamins enhance mineral absorption. For example, vitamin C boosts iron absorption, and vitamin D boosts calcium and magnesium absorption. As is the case with vitamins, certain gastrointestinal disorders and diseases, such as Crohn’s disease and kidney disease, as well as the aging process, impair mineral absorption, putting people with malabsorption conditions and the elderly at higher risk for mineral deficiencies. Introduction by University of Hawai’i at Mānoa Food Science and Human Nutrition Program is licensed under a Creative Commons Attribution-NonCommercial-ShareAlike 4.0 International License, except where otherwise noted.